In my house, we are currently viewing and reading stories about love. selected – The Little Mermaid, Frozen, Sleeping Beauty, Rapunzel, and Beauty and the Beast. and princess stories over and over and over again – stories that involve hope, and tragedy, and love. But in the end, the prince and princess live happily ever after. written masterfully. Many consider it one of the finest literary stories of the Old Testament. You may know this story well. support for any of them. told of how life turns out for Naomi and Ruth when they are back in Bethlehem. crises you get called into – there are similarly tragic moments you’re involved in. cancer, or by an illicit liaison. As youth ministers, we often have the privilege of being part of people’s lives at the worst of times. we sit there, we listen, and we show our love and care for them. family is restored economically and socially. known as the Son of God, redeemer of the world. hand, his active care for his people, working through tragedy in order to bring triumph. And we don’t want to be glib here either. The actual pain and sadness is legitimate. The events are to be lamented. is there working in the lives of others. God she had come to know through this family. group night we can during the week, we want to commit ourselves to trusting God to work within it. 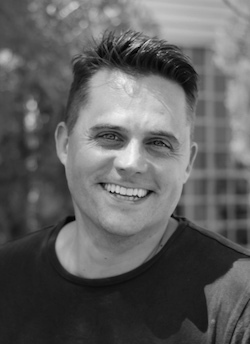 Jon Coombs is the Associate Pastor for Youth & Young Adults at Rowville Baptist Church in Melbourne, Australia. For over 15 years he has been working with youth and young adults in churches, schools, mission agencies and not-for-profit organisations. He holds an MDiv from the Melbourne School of Theology and writes regularly at joncoombs.com. You can find and connect with him on Twitter or Facebook.